At the Hi-Way 9 Group of Companies, we understand who our company is and what we can best provide our valued customers. We are extremely close to our customers and will continue to strengthen those relationships, anticipating their needs and maintaining our reputation as a responsive transportation supplier to the Central/South Alberta market... and beyond. Our growth to date has been the result of a strong focus on customer service and satisfaction. Our company was founded on same-day and overnight service and we have continued that journey to develop innovative solutions to answer our customers’ evolving requirements. 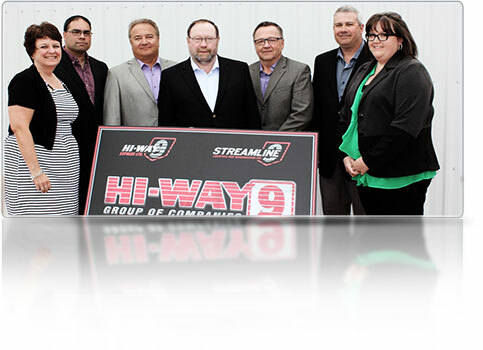 The Hi-Way 9 Group of Companies now provides a wide range of transportation and distribution services. Operating as 4 distinct divisions, we combine common functions but keep the core operational aspects separate so that each division can offer a well honed and unique service offering.